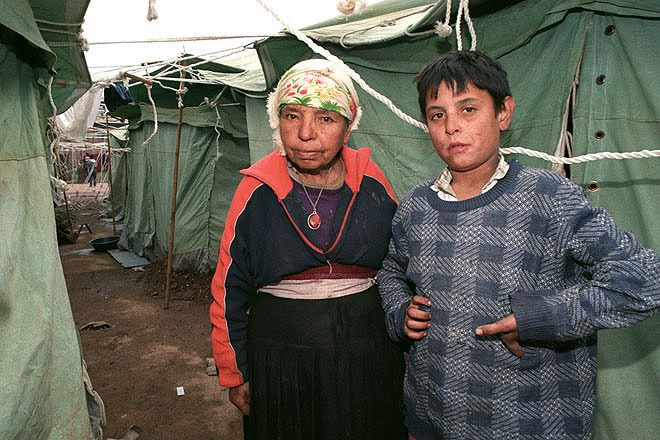 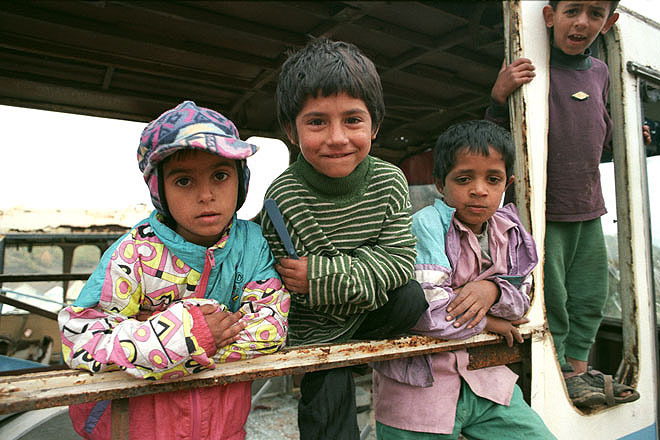 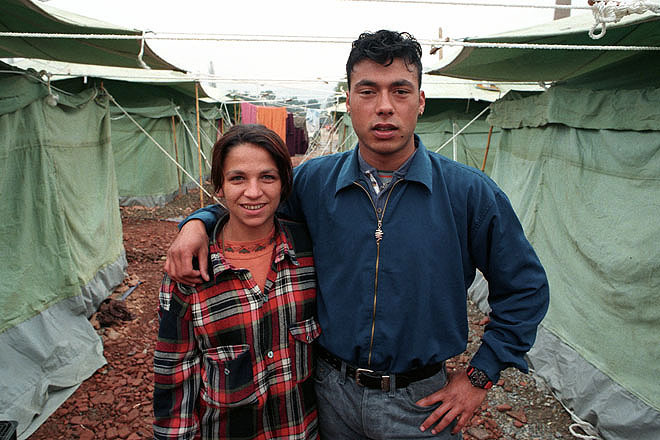 250/300 displaced Roma are housed in this temporary camp at a former bus depot in north Mitrovica. 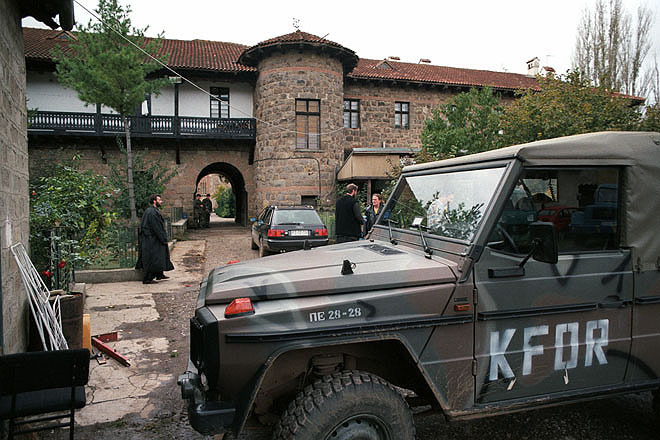 The monastery in Gracanica, southeast of Prestina, is under continuous KFOR protection. 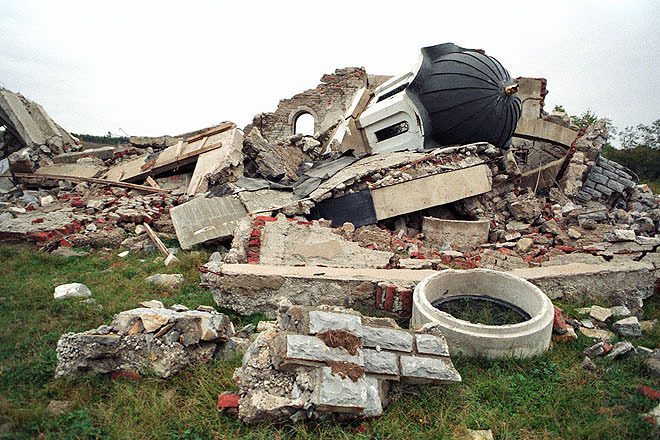 The Orthodox church in Kejveo, between Pristina and Peja, was blown up as retaliation against what was seen as Serbian cultural monuments. 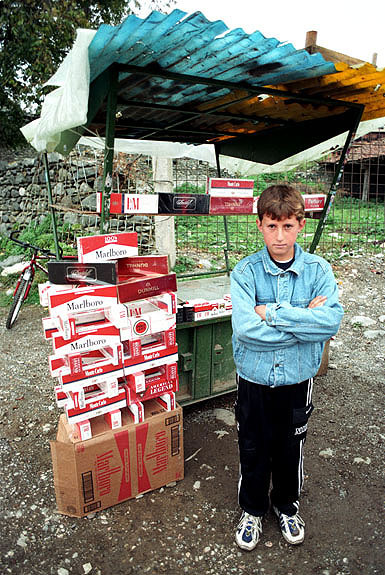 Contraband cigarettes on sale in Junik, south of Peja, in western Kosovo. 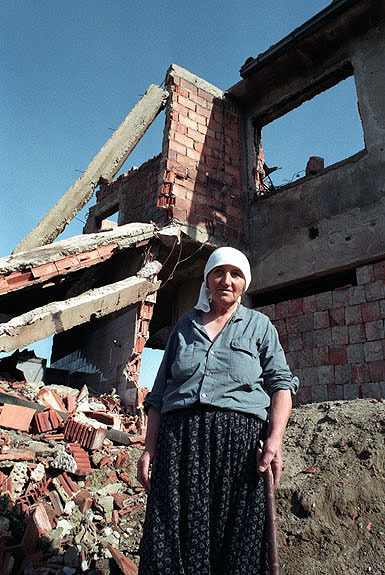 The area south of Peja in western Kosovo is one of the regions most destroyed during the conflict. 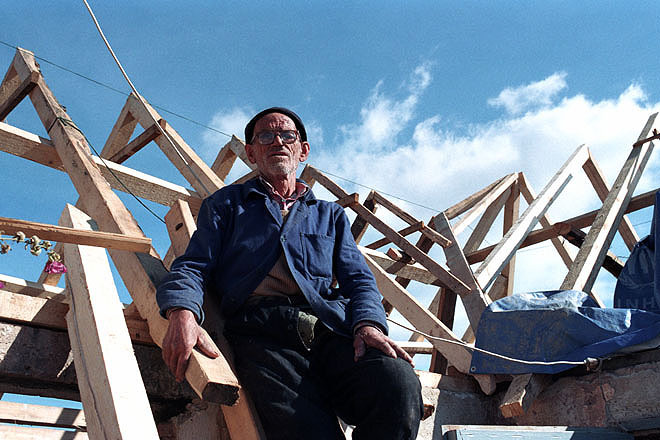 With the assistance of ACT/UMCOR, shelter/winterization and reconstruction in Barjgora, north of Mitrovica, are progressing reasonably well. 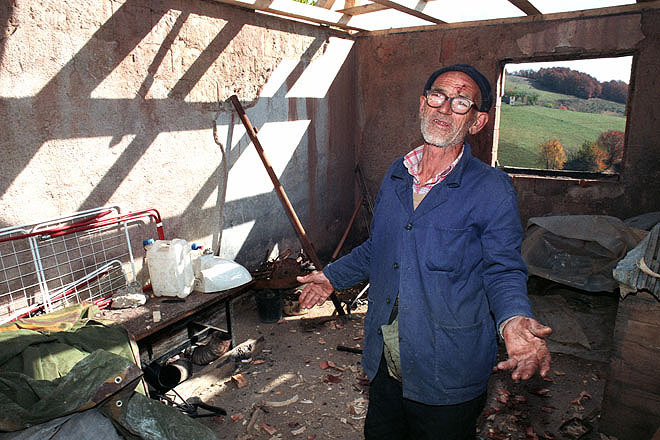 For some people the task is very difficult: this 72 year-old-man not only tries to rebuild his house by himself, but also needs to support a family of 14. 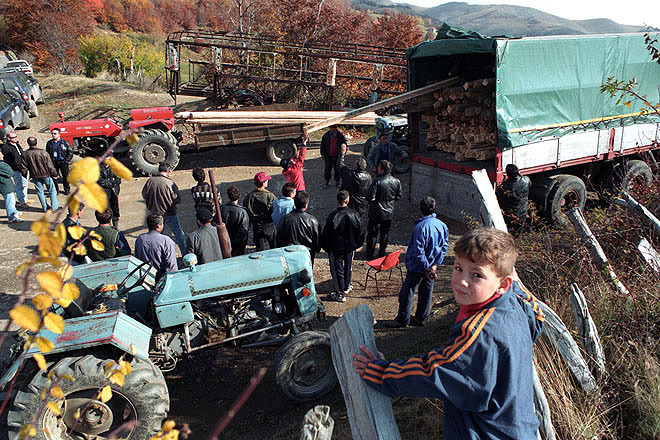 ACT - UMCOR distribution of building material in Barjgora, north of Mitrovica. 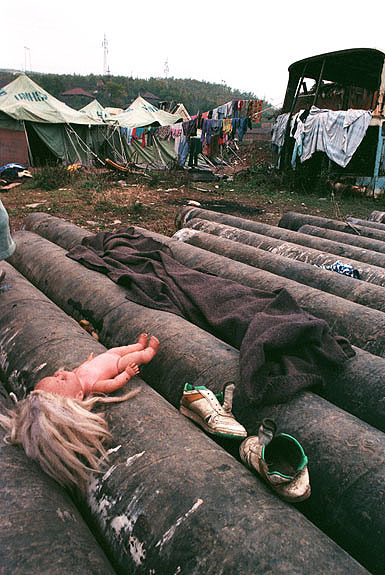 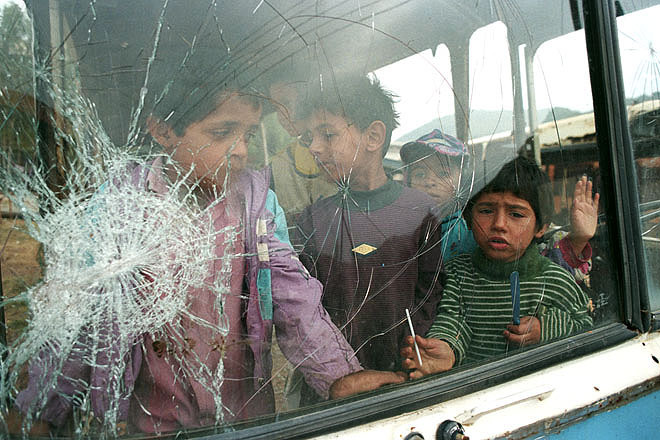 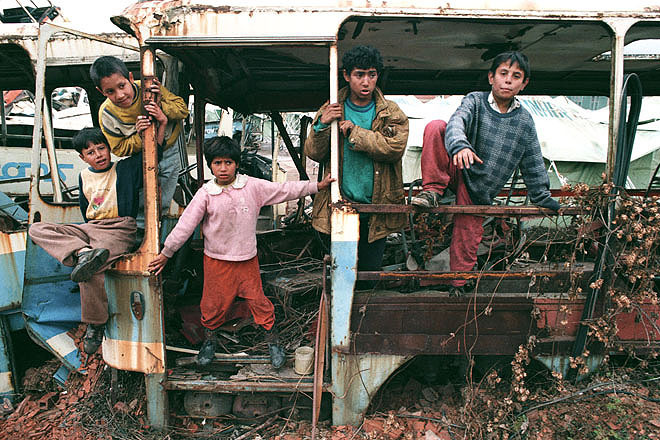 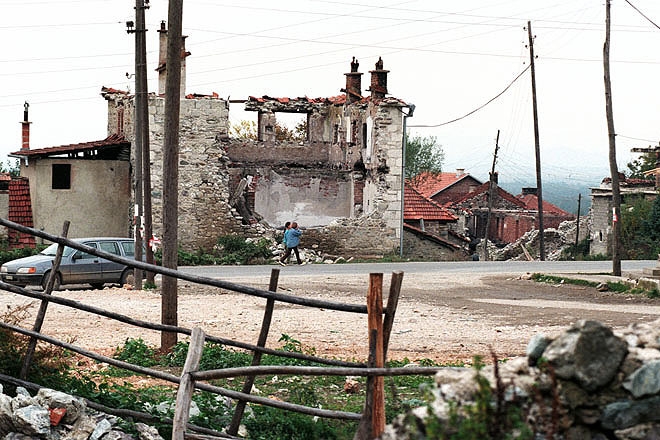 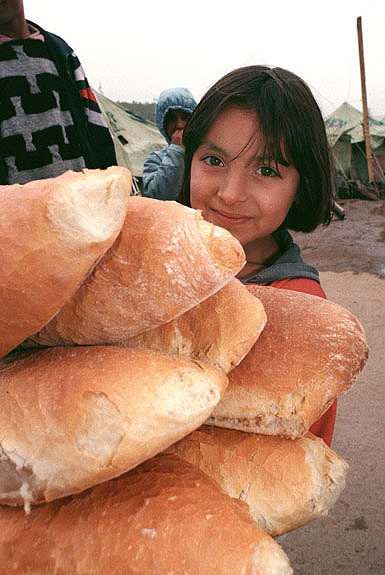 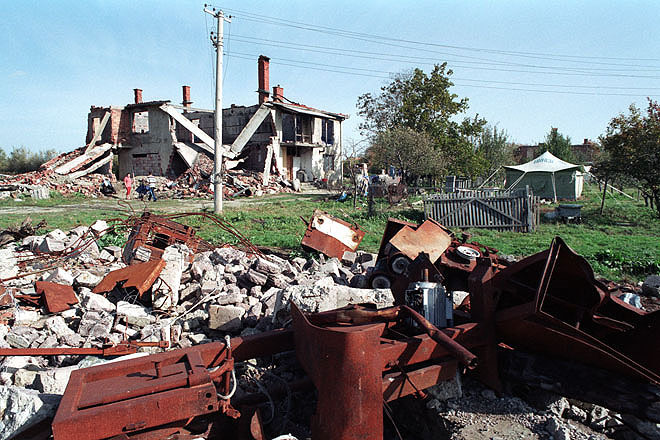 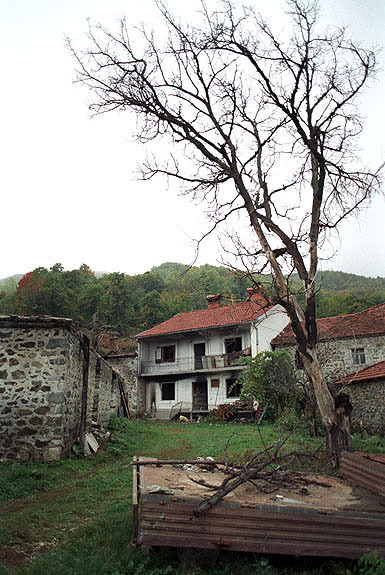 Junik, south of Peja in western Kosovo, was one of the towns most affected by the conflict. 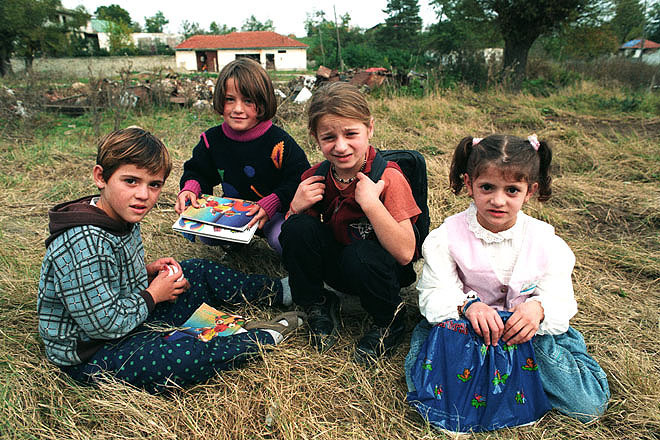 Schoolchildren in Irzniq, south of Peja. 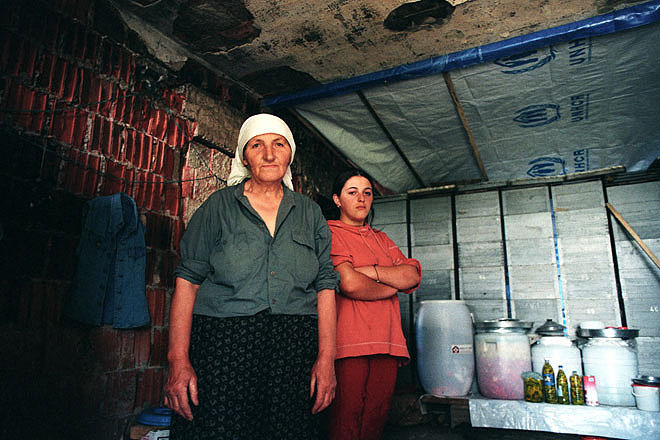 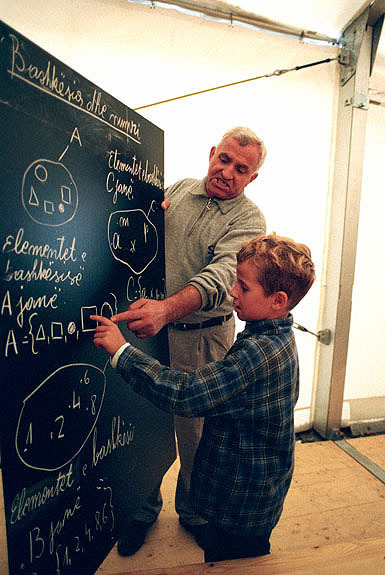 School in Irzniq, south of Peja, is now held in a tent.